WE HAVE RAISED $2,400 so far, that's 38 days in the field for a trained doctor! Twitter: "To put in real terms, £45 ($63) is roughly how much it costs us to send a doctor to the field for a day..."
Hi, and welcome to MONSTERS WITHOUT BORDERS! Here, you will find a PDF and Fantasy Grounds module with 20 incredible new monsters, a paladin oath and 2 new backgrounds for your Dungeons & Dragons 5th Edition game. After you download this MONSTROUS community product please consider making a donation to MSF for all their efforts to make this world a better place. You can do this by paying for your copy of MWB here, in the DMsGuild - every cent of profit from the creators involved in this product will go straight to the MSF. OR you can hop on over to MSF's Onebookshelf page and donate $5 there after downloading our beautiful work. All we ask is that you mention us on the product page when you donate. We really hope you enjoy our product. Creators included in MWB are: Glen Cooper, JVC Parry, Phil Beckwith, Tony Petrecca, Benoit de Bernardy, James Introcaso, Justin Handlin, Jeff Stevens, Travis Legge, Elven Tower, Scott Bean, Kelsey Dionne, Alex Clippinger, Andrew Morley, Beeholder Press, David Coulson, David Morris, Florian Emmerich, Jeremy Forbing, Ken Carcas & Nikita Keeghan. Special thanks to Rob Twohy for creating the Fantasy Grounds module for us! 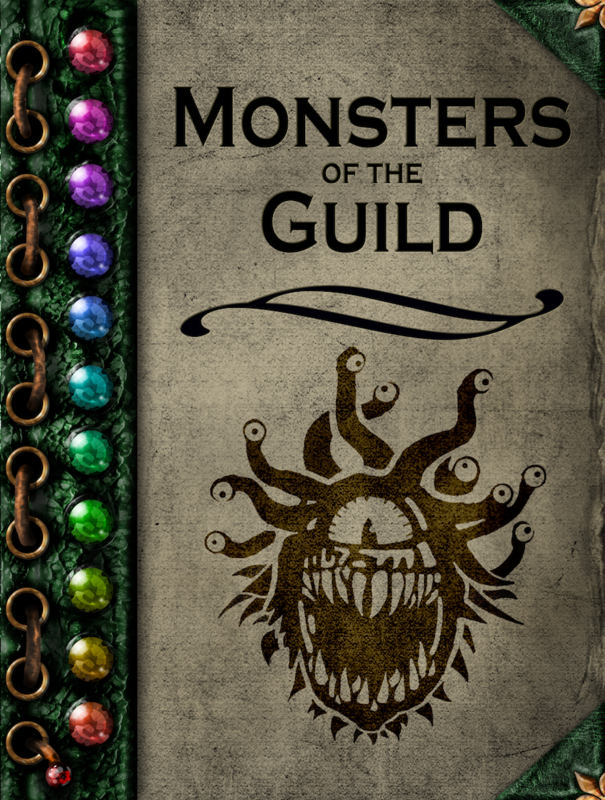 You can now purchase Monsters of the Guild! Is there a chance this will get a print edition soon? We did however make Monsters of the Guild print on demand. MotG has several of these monsters in it. Is there a chance that I can ask for a little bit more detail involving the paladin oath and two backgrounds? At the very least what they're called, and maybe a brief description. Hi Thomas, this title is PWYW. So please feel free to DL it and if you like it (use it) - please consider donating what you can afford! Have fun!! Any changelog for the update? From one charity to another, this is amazing! Picking up copy for our games! Have fun with it and let us know how you got along! Thanks for picking that issue out, its actually an ability that was meant for another monster from the larger book Monsters of the Guild. I am editing the layout and will have an updated version (v1.1) loaded today at some point. Fantasy Grounds updated as well and will be loaded with the next update. Thanks for the head up!! Out of curiosity, why a paladin oath? An amazing collection of the wierdest, most dangerous and oldschool monsters you'll find. We are literally saving lives while we play D&D! Thanks for all your help Henrik. Seriously cool of you.